Albert Quay terminus, Cork city: foundation stone laid in early 1852, some months after the line to Bandon had been opened. Described as ‘nearly complete’, though architecturally ‘a poor affair’ by a contributor to The Builder on 31 July 1852 (vol. 10, no. 495, pp. 481-83). Illustrated in Cusack Patrick Roney’s ‘How to Spend a Month in Ireland’ (1867 ed., though likely to be in earlier editions too). Shown here some photographs taken recently, of the large old water tank (of which only the supporting arches now remain) in a rock cutting, the South Link road where Rocksavage tunnel and cutting once carried the railway out of the city centre, and a terrace of railway housing built by the Cork & Bandon company. Also, photos from the 1950s and 60s, before and after the line closed. 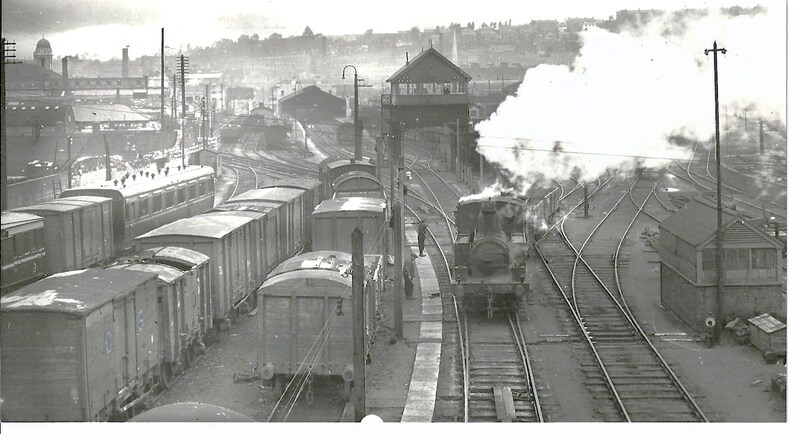 Here is the link to the terminus building at Albert Quay, the large water tank, and the row of railway cottages nearby.